(HOST) President Barak Obama’s Middle East speech is being dissected and analyzed in world capitals for clues to his thinking in the wake of the on-going Arab revolutions. But on the subject of the long standing Israeli Palestinian dispute, for commentator and veteran ABC News diplomatic correspondent Barrie Dunsmore, there was less than meets the eye. (DUNSMORE) I have spent much of my adult life as a witness to the Middle East ritual where American secretaries of state shuttle back and forth to the region and Israeli prime ministers, Arab presidents, kings and sheiks pay reciprocal visits to Washington. Over the years, this ritual has become a way to suggest movement toward peace in the Middle East, when everyone knows there isn’t. Nothing I have heard, seen or read in recent days, gives much hope for peace based on the two-state solution – an Israeli and a Palestinian state living side by side in peace. The details of that agreement have been hashed out in nearly twenty years of off-and-on negotiations. Both sides know what they have to do- but neither can bring itself to make the final concessions. At one time the president of the United States might have been able to narrow the final gap, but that doesn’t seem to be the case anymore. Quite frankly, Israel’s oversized place in American domestic politics limits the president’s options. For example, President Obama suggested last year that Israel should freeze construction of new settlements in the occupied territories because they were an obstacle to peace – a position held by every American president going back to Carter. But Israeli Prime Minister Netanyahu defied Obama and the vast majority of the members of Congress backed Israel. They probably will again when Netanyahu speaks to Congress next week, no matter what he says. But while nothing is moving on the peace front- the political climate in the Middle East has been significantly changing, and not to Israel’s advantage. The democracy movements in the Arab world that in recent months have over-turned regimes in Tunisia and Egypt and are threatening to do so elsewhere, were not inspired by anti-Israel feeling. But there is also no question that the Egyptian and Jordanian peace treaties with Israel are not popular with the Arab masses. Egypt has already shown it is no longer going to cooperate with Israel in the total isolation of Gaza. In fact, Egypt brokered the new detente between the warring Palestinian factions – Fatah on the West Bank and Hamas in Gaza. Meantime, Palestinians from Lebanon, Syria, the West Bank and Gaza charged Israel’s borders on the anniversary of its founding and border guards opened fire killing at least a dozen would-be intruders. Another challenge comes this fall, when the Palestinian Authority asks the United Nations General Assembly to recognize Palestine as a bona fide international state based on pre-1967 War borders. There are no vetoes in the general assembly but neither are its resolutions binding. So what it will mean as a practical matter is unclear – although it does have symbolic significance. These turns of events have created uncertainty for Israelis and made their government even less inclined to seriously pursue peace. That may be understandable, but it’s hard to imagine that conditions for peace will actually improve – anytime in the future. 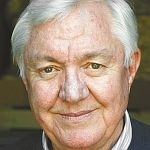 Note: You can find more commentaries by Barrie Dunsmore at VPR.NET.